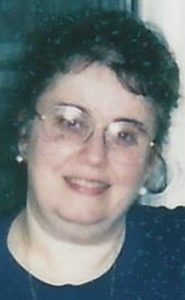 Christina E. (Nies) Mumma, 74 of Lancaster, passed away Tuesday, January 22, 2019. Born in Lancaster, she was the daughter to the late Sadie (Mastros) and William John Nies. Christina was the wife to the late Richard Paul Mumma. Tina graduated from J.P. McCaskey High School. Following graduation she was the owner of Mumma Bookkeeping Services for over 30 years. In addition to accounting, she taught piano for over 40 years. Tina was a member of the Unitarian Universalist Church of Lancaster, where she was the Educational Director and involved in the Youth Choir. Tina enjoyed reading, camping with her family and vacationing in Wildwood, NJ and Ocean City, Maryland. Mostly she cherished the time she spent with her family. She is survived by her son R. Mark Rhinier of Hanover and a daughter, Faith Wang (Cheng Gang Wang) of Mountville; her brother William Nies of Lititz, four grandchildren and 1 great-grandchild. In addition to her husband Tina was preceded in death by a son David P. Rhinier. Friends and family will be received from 6-8 PM on Friday, February 1, 2019 at the Charles F. Snyder, Jr. Funeral Home & Crematory, 3110 Lititz Pike, Lititz, PA 17543 followed by a Celebration of Life at 8:00PM. Please omit flowers.